How did Plesiosaurs Swim? « Adafruit Industries – Makers, hackers, artists, designers and engineers! 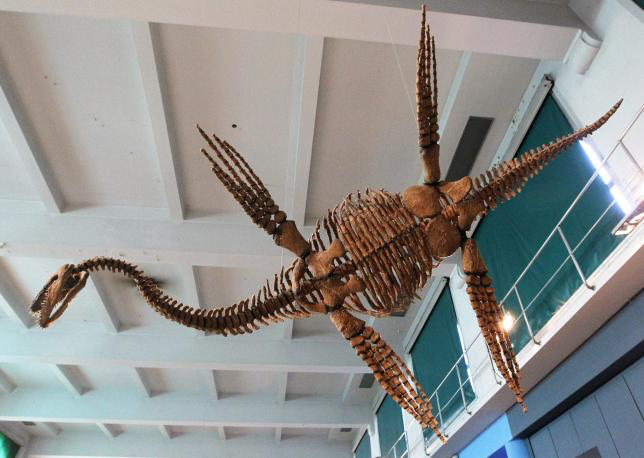 Plesiosaurs, marine reptiles that thrived in the world’s seas when dinosaurs ruled the land, swam much like penguins by using their flippers to “fly” underwater, scientists said on Thursday, resolving a debate that began nearly two centuries ago. Plesiosaurs had four large flippers, and many had remarkably long necks. They lived from about 200 million years ago to 66 million years ago, disappearing in the same mass extinction that doomed the dinosaurs. Nessie, Scotland’s mythical Loch Ness monster, often is portrayed as looking like a plesiosaur. Comments Off on How did Plesiosaurs Swim?